SALT LAKE CITY (ABC4 News) - Thirty-two years ago, the bloody body of Diana Ramirez was found in a back room where she worked. To date, no arrests have been made and Salt Lake City police consider it a cold case. 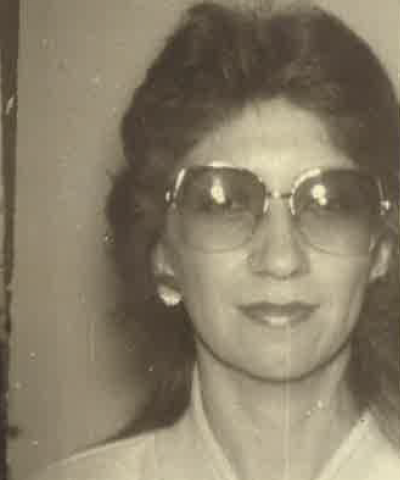 But a private investigator and the Utah Cold Case Coalition is urging police to investigate her murder again based on their recent findings. "She was found dead, stabbed multiple times laying on her back," said Jason Jensen, a private investigator and a member of the coalition. It was September 9th, 1986 and shortly after ten in the morning, police arrived to a murder scene after receiving 911 calls. Ramirez was a receptionist at the then Family Counseling Center on South Temple. According to the 1986 police report, "the victim was lying in an office. There was blood around her face and her arms." The autopsy showed she was "stabbed 12 times" in the upper part of her body and there's "two fatal wounds in the neck," according to the police report. Back then a police officer told reporters "we're checking on some leads. But we have no suspects." But after 32-years police have yet to make arrest. The case has gone cold. "The year after she was murdered, I've been calling, just bothering them all the time trying to get some answers," said Georgette Lobato, Ramirez' sister. "But we never really did." Lobato isn't giving up on her older sister. She remembers Ramirez as a mother making ends meet. "My sister was loved by everybody, she was a wonderful mother," she said. "She was struggling to take of her children. On the day of her murder, there were suspicious sightings from those working at the center. "As she came down the hall she passed a gentleman that was wearing a red short sleeve shirt and Levis and they passed each other and he said hello and she didn't think nothing of it at the time," said Jensen. The Ramirez family hired Jensen who reviewed the original police reports. He said another witness at the counseling center told police about a suspicious car. "He looked out the window here and observed a small compact, two-tone, silver over dark gray vehicle parked in the driveway," Jensen said. The vehicle was parked in an unusual area, Jensen said. It was actually the driveway which led to the back parking area of the counseling center. He wants to know who the car belonged to. "I'd rather not say," she said. At the time of her murder, Ramirez was going through a divorce and was also seeing another man. Both were cleared by police according to Jensen. But Lobato doesn't sound convinced of that conclusion. "In my heart, there's just so many different things running through my head, but in my heart, I can't judge anybody," Lobato said. Jensen said the number of wounds found on Ramirez' body indicates anger and it wasn't random. "We believe that it was somebody that she knew but very well in fact," he said. Jensen said police even to this day ruled out both men. But he's not sure of that. Example, another sister of Ramirez said a relative of one those men came to his house on the day of the murder. She recalled the conversation she had with the relative. "Her aunt was washing his laundry and she had seen that it was bloody clothes and she'd asked what had happened and she said ****** had been in an accident," said Ylene Lobato-Castro. "And she was doing laundry for him to get things cleaned up." Lobato-Castro said the relative always was suspicious of the man whose clothes were being washed that day. "She was saying I know he had something to do with it," Lobato-Castro said. "She said 'I can't prove it but why would his clothes be bloody on that date.'" Jensen also claimed the route traveled by that person was flawed, giving police the wrong time frame of his whereabouts. And he said that person had a motive. According to the police reports, knives taken from this man produced no evidence. But Jensen claims his daughter discovered her knives were missing. he says she was never interviewed by police. "We have known that in some of the older cases police departments don't have the records anymore," said Karra Porter with the Utah Cold Case Foundation. Her non-profit group is investigating the Ramirez cold case murder. It's unknown whether the police is missing any evidence from this crime. But she wants people to help solve this case. Porter showed ABC4 News files that she obtained from an unrelated cold case. She said a family member of the victim, in that case, found the files in their basement. "That's the kind of thing that made us think, 'you know what?," Porter said. "There are probably other people that still have these kinds of records in their basement." solving a 32-year old murder. "It's been so heavy on every body's shoulders in not knowing," said Georgette Lobato. "My mother passed away not knowing and that was her biggest wish was to find out. I miss her and I promise that I'm not going to stop until it's solved." A reward of $3,000 is being offered by the Utah Cold Case Foundation for any information that leads to a conviction. Salt Lake City police did not participate in this report. A spokesman for the department said a number of recent murders that remain unsolved and two officer-involved shootings that the department is investigating has prevented them from updating ABC4 News about the 1986 murder. Spokesman Greg Wilking said the homicide unit has been overwhelmed with the current caseload and the unit is understaffed. But he said the department urges anyone with information to contact Salt Lake City police.